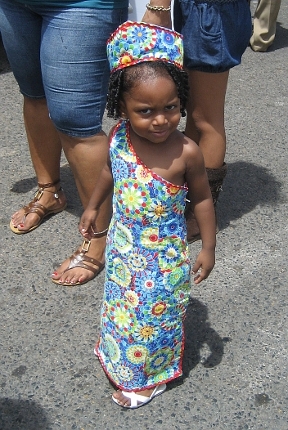 Afro-Panamanian are Panamanians of African descent. 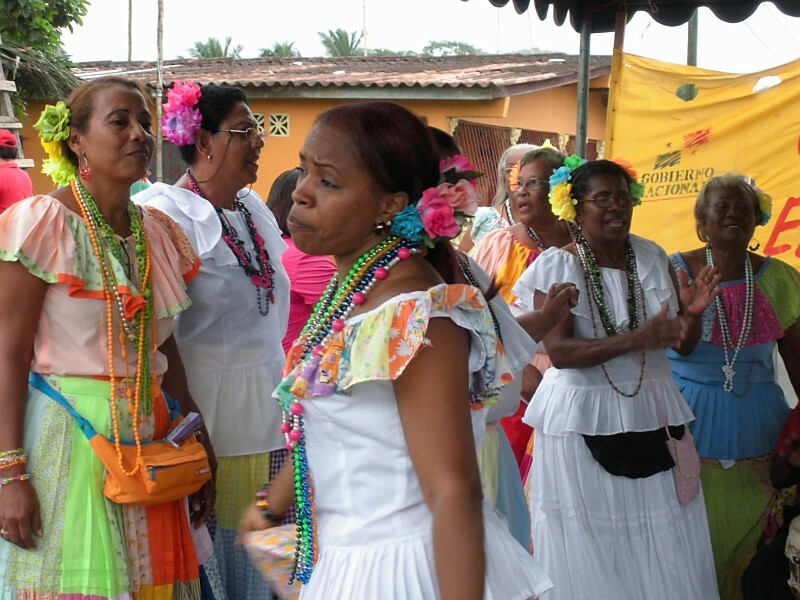 Afro-Panamanians are 15% of the population and it is estimated 50% of Panamanians have African ancestry. The Afro-Panamanian population can be broken into the "Afro-Colonial", Afro-Panamanians descended from slaves brought to Panama during the colonial period and the "Afro-Antillean", West Indian immigrants from Trinidad, Barbados, Martinique and Jamaica, brought in to build the Panama Canal. 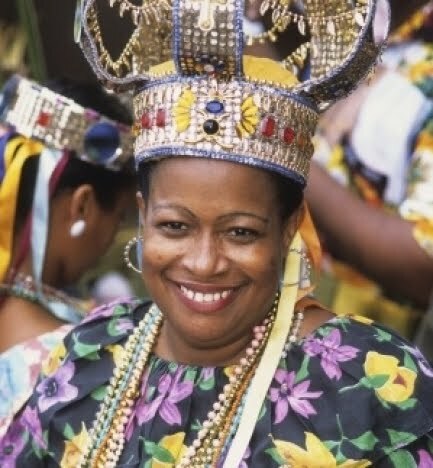 Afro-Panamanians can be found in towns and cities Colón, Cristóbal and Balboa, Río Abajo area of Panama City, the Canal Zone, and province of Bocas del Toro. 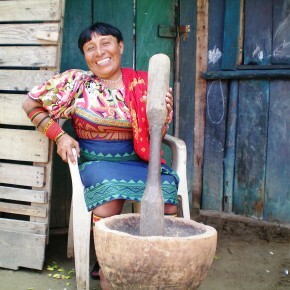 Although many panamanias like to think they are hispanic, they are not considered to be true hispanics. 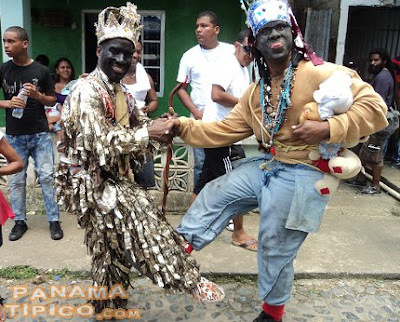 The story of the descendants of African peoples in Panama is not only the story of the first persons of African origin in modern times to arrive on the mainland of the Americas, but also the story of a community that has long struggled to obtain basic civil rights. Just as in Costa Rica, Panama (and the Canal Zone) had at one time an official policy of racial discrimination against its citizens of African descent. In 1496 Columbus’ brother Bartholomew established the first permanent European settlement in the Americas at Santo Domingo (Hispaniola). By 1501, Rodrigo de Bastidas had explored the Caribbean coastline of Central America and became the first European to set foot on what is today Panama. The following year, Columbus attempted to establish a colony here but it did not survive a series of native attacks and was abandoned within a year. It was not until 1509, that the first permanent European outpost on the mainland of the Americas become permanently established when Diego de Nicuesa founded Nombre de Dios at mouth of the Rio Chagres. That same year, on the Gulf of Uraba (in what is now Colombia) another settlement was founded and given the name of San Sebastian de Uraba by its founder Alonso de Ojeda. This settlement was moved by Balboa to the eastern coast of Panama and renamed Santa Maria la Antigua del Darien. In 1519, Santa Maria was relocated to the other side of the isthmus and renamed Panama, the forerunner of today’s Panama City. 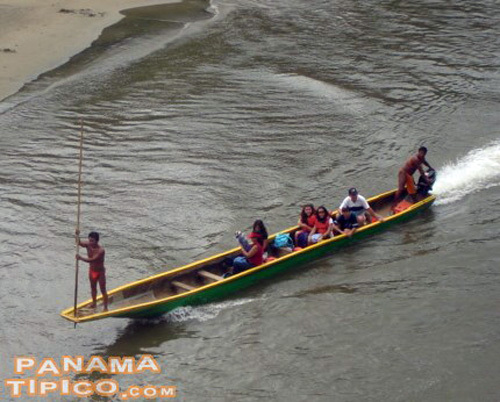 Panama has not always been considered a “Central American nation” in the historical and cultural sense. For several centuries it was a part of Colombia, and the history of its African descended peoples are actually a part of that country’s history up until the time of Panama’s independence in 1903. Panama was not a part of the five nation “Central American Federation” and most Central American’s in the other republics do not consider Panamanians to be “Central Americans”. Geographically perhaps, but not politically or historically. This could be the reason why historians have long considered the arrival of the first black people in Central America to have occurred with De Avila’s landing on the North Coast of Honduras in 1524 and not the with their arrival with Balboa in 1513. Among the nations of Central America perhaps only Belize could be considered more “ethnically diverse” than Panama. Mestizos of native American, African and European ancestry make up 67% of its population. Persons of African ancestry, including a large number of persons of mixed African and European heritage, account for 14% of the population. 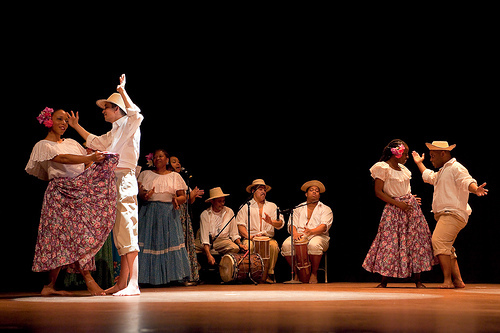 Some historians have estimated that up to 50% of the population of Panama has some African ancestry. Those persons of European ancestry (mainly Spanish, Italian, Greek and English) make up 10%, native Americans 6% and Chinese 3% of the population. There are also smaller minorities of Arabic speaking peoples, Jews and East Indians. On September 26, 1513 Vasco Nunez de Balboa reached the shores of the Pacific. Having crossed the isthmus from its Caribbean side he is credited by historians with the “discovery” of the Pacific Ocean. Among those with him at the time of the discovery was the Afro-Hispanic nobleman Nuflo de Olano as well as thirty other men of African heritage. Balboa decided to sail upon the newly discovered waters of the Pacific and two small ships were subsequently constructed on the Caribbean side of the isthmus and transported (in sections) across Panama to the Pacific coast. The Africans with him, as well as large numbers of native Americans, were largely responsible for the building and transporting of these first two vessels, the first substantial vessels to be constructed on the Pacific shores of the Americas. In 1519 Panama City was founded by Pedro Arias de Avila on the Pacific coast. A trail called Las Cruces had been discovered between the town of Panama and the Caribbean. Soon Panama City became one of the wealthiest cities of the Spanish Empire. Latter a new road (the Camino Real) was built between Panama and the Caribbean port of Nombre de Dios. By 1594 the nearby town of Portobelo became the principal Spanish Caribbean port in Central America, a position it maintained for over 150 years. These towns had become very important to the Spanish because the gold and treasures being taken from Peru and the Philippines were shipped to and stored in these settlements. Carried overland by mule-pack from Panama City to the Caribbean port towns of Nombre de Dios (and latter Portobelo) the treasures were then shipped to Cadiz (Spain). Large numbers of African slaves were brought to Panama to transport goods across the isthmus as well as load and unload the ships at both ends of the Camino Real. Other Africans were also sent to work in the nearby gold mines of Veraguas and Darien. These mines were producing two tons of gold per year during the 16th century. A large slave market known as the House of the Genovese was set up in Panama City (Panama Viejo) and thousands of slaves were sold here to Spanish planters and miners in Colombia, Ecuador, Peru and Bolivia, as well as to miners and planters in Panama itself. There were already 4,000 Africans in Panama City by 1610. As early as 1531 a slave rebellion in Panama had been reported. 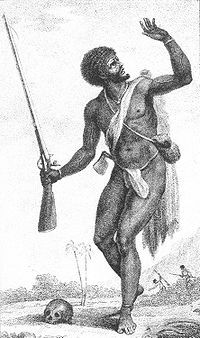 Other rebellions took place and are among the earliest slave rebellions in the history of the Americas. Large numbers of slaves escaped during the colonial era fleeing into the remote jungles of the Darien (in eastern Panama). The Spanish called these runaway slaves cimarrones (“the wild ones”) and from this word comes the English word maroon which describes communities of fugitive slaves who escaped and lived in remote areas on the islands of the Caribbean as well as in Central and South America. Maroon communities were established in the Darien during the 16th and 17th centuries. Native Americans helped these runaway slaves and soon villages were established, crops planted and a king selected. "King Bayano was the most famous of the Afro-Panamanian kings. King Bayano led the largest revolt against Spanish colonial rule in Panama in the sixteenth century. Bayano, a Mandinka and an alleged muslim was one of the four hundred Africans captured in West Africa for enslavement in Panama in 1552. African slaves were needed because the Spanish has killed off most of the local tribes. The ship carrying the Africans sank, and the group escaped. Since they landed as free men they elected Bayano (who was reported to be a royal back home in his native Mandinka tribe in Africa) as their King and consequently fought the Spaniards to maintain their independence. This was the first rebellion against colonial authorities in Americas. Bayano was supported by the Cimarrones, the Spanish term for black runaway slaves who married Indians and resides in self-governing areas called Palenques (See Quilombos and Palenques). Bayano and his hundreds of Cimarrones lived at Ronconcholon, where his group grew stronger and fugitive community thrived. Since he could not abide by the horrific ill-treatment carried out by the Spanish. Bayano and his group fought the Spaniards in various ways for five years. He also gained support from the Scottish and the English pirates who enjoyed working with him to thwart the Spanish. Bayano frequently attacked mule train caravans that travel from Peru, across Panama, along Carmino Real (King`s Highway). Bayano frequently procured and silver from the caravans, which seriously affected the Spain`s profit from its enterprises in the New World. The Spanish sent governor and conquistador Pedro de Ursua (1521 - 1561), who quickly realized that he was incapable of fighting the most experienced Cimarrones in their home terrain. De Ursua made a number of agreements to end the fighting, but in 1556, he actually draw Bayano and his men into peace negotiation to discuss a truce, and the group came unarmed. De Ursua had 32 of Bayano`s men poisoned, and only very few escaped as Bayano and his closest men were sized by the Spaniards. By Junius P. Rodriguez, page 45 and 46). Starting in the late 1530’s British, Dutch and French pirates became a serious threat to the Spanish in Central America. From the 1560’s into the 18th century British pirates, along with their African and native allies, attacked Spanish ports and inland cities as far north as El Salvador and Honduras and south into Nicaragua, Costa Rica and Panama. The Panamanian towns of Nombre de Dios, Portobelo and Panama City were all particularly vulnerable to attack because so much of value was being transported and stored in these towns. In 1572 the English pirate Sir Francis Drake plundered the port of Nombre De Dios. Both Africans and native Americans joined the English and Scottish pirates in their looting and plundering of the Spanish towns. The Spanish moved their operations (in 1594) to nearby Portobelo. It quickly became the most important Spanish port on the Caribbean coast of Central America until 1668 when the Welshman Sir Henry Morgan attacked and destroyed much of it. Three years latter he returned and sailed up the Rio Chagres and attacked, plundered and almost completely destroyed Panama City. Arriving safely back on the Caribbean coast with 200 mules loaded with gold and riches, he sailed home in glory and latter became governor of Jamaica. Two years after Morgan’s attack, the Spanish decided to move Panama City to its current location a few miles west of the old city. The ruins of Panama Viejo can still be seen to this day. When Portobello was again destroyed by the British in 1739, the Spanish authorities decided (in 1746) that it would be better to ship their South American treasures around Cape Horn then risk any more attacks on Panama. Today the descendants of the cimerrones still live along the rivers and coastal areas of the Darien. Known as the Playeros (beach people) they are both Spanish speaking and Roman Catholic. As late as the 1820’s, runaway slaves continued to join maroon communities despite the treaties that had been signed with the Spanish prohibiting these communities from accepting runaways. A certain amount of intermarriage between Africans and native Americans of the region has taken place over the past four and half centuries. Most Playeros are fishermen or small scale farmers growing crops such as bananas, rice and coffee as well as raising livestock. The island of Isla Grande (near Portobelo) has an interesting community of 300 Playeros. The community lives from fishing and coconut production and is famous for its annual Carnival celebrated a few days before Ash Wednesday. The conga is danced in the streets and traditional folk costumes are worn by the local population. On the Pacific side of the country the Pearl Islands (off the coast of the Darien) were also settled by escaped slaves who’s descendants still live there. At the turn of the 20th century blacks form Colombia arrived in the Darien to work on banana plantations located in the southeastern areas of the region. Many of the Afro-mestizos of Panama have assimilated over the past five centuries into mestizo culture and are today a part of the cultural “mainstream” of Panamanian life. The traditional folk music of Panama’s mestizos clearly shows strong African rhythmic influences, perhaps stronger then in any other folk music found in Central America. 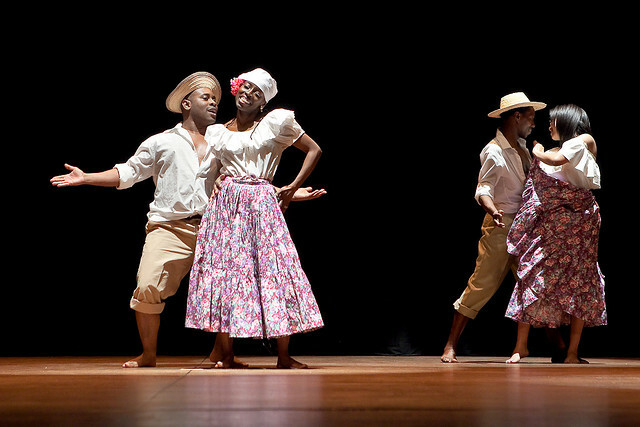 Panama’s popular dance music also shows a strong African influence. 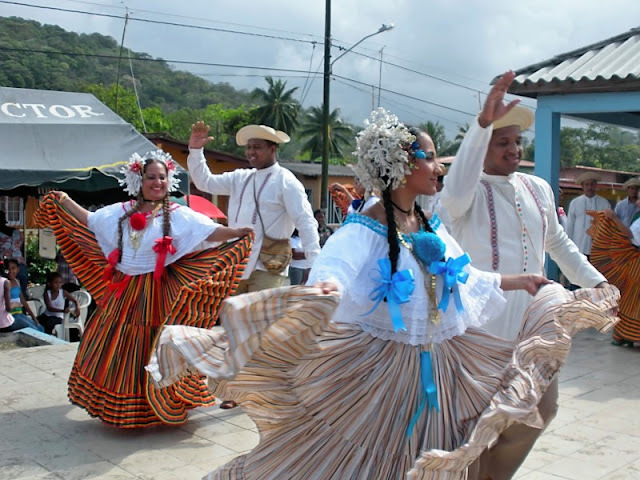 Africans brought to Panama during the colonial era living in the areas around Panama City, as well as in the rural areas west of the capital, blended their culture with native and European elements to create the mestizo population of today. This process has been repeated as we have seen throughout all of the countries in the region. 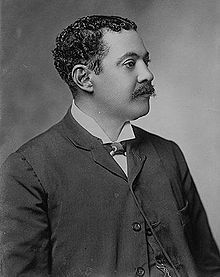 A few examples of a well known Panamanians of African descent include President Carlos Mendoza, who was of African and European descent and served as Panama’s president during the building of the Panama Canal, classical composer Roque Cordero (b. 1917), baseball great Rod Carew (b. 1945) and the pop singer Edgardo “El General” Franco who made the singing Rap in Spanish popular throughout Latin America. 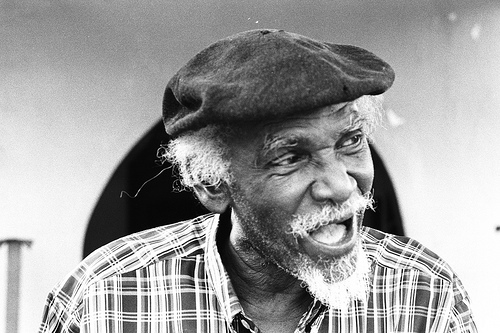 Afro-Panamanian jazz pianist and composer Victor Everton McRae (Victor Boa) was known as the “High Priest of Jazz” and “Master of the Keyboard”. Victor was a key part of the vibrant Panamanian jazz scene beginning in the late forties and played alongside jazz greats such as Clarence Martin Sr., Gladston “Bat” Gordon, Barbara Wilson, Harold “Zaggy” Berry, Ricardo Staples, Danny Clovis, John “Rubberlegs” McKindo, Reginald Johnson and Carlos Garnett. He was a well-loved fixture in the hotels and jazz clubs of Colon and Panama city for many years, playing everywhere from the humblest of venues to the Teatro Balboa and Teatro Nacional, always with his trademark cigar or pipe in mouth. 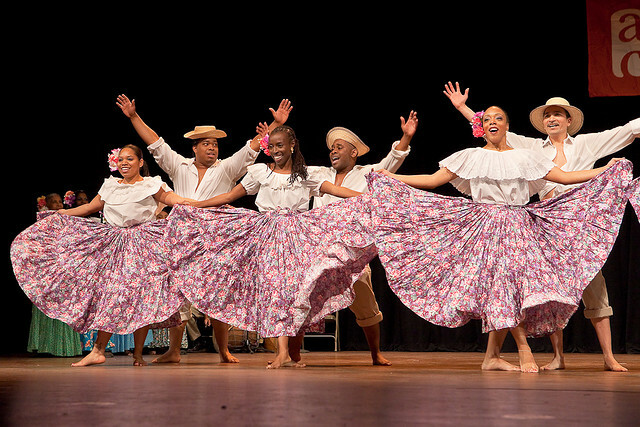 Congo is a song and dance from the Afro-Antillean parts of the country, which are mostly located in the Colon province. 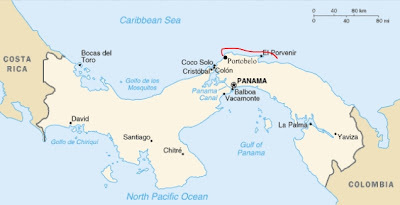 In 1846, the government of Colombia signed a treaty with the United States permitting the construction of a railroad across Panama that would run from Panama City to Colon. The town of Colon was founded in 1850 as the terminus of the Panama Railroad. It was originally called Aspinwall. In 1848 gold was discovered in California and thousands of prospectors set out from the U.S. and Europe making their way to California via the isthmus of Panama. The construction of the Panama Railroad commenced in 1849, but by the time of it’s completion in 1855 the peak years of the prospector migration had passed. The money the prospectors used while passing through Panama did help however to finance the railroad and provided Panama City with an economic boom that it had not seen in decades. The new railroad proved to be a great financial success for its investors. During the years of the building of the railroad Afro-Antilleans from Jamaica and other parts of the British West Indies were recruited as laborers. The completion of the railroad across Panama cost the lives of many workers and upon completion of it some Afro-Antilleans remained in Panama, while others returned to their homes in the West Indies. The next major movement of Afro-Antilleans into Panama occurred when the French attempted to build a trans-oceanic canal across the isthmus. Ferdinand de Lesseps organized the Compagnie Universelle du Canal Interoceanique and work was started in 1880. Afro-Antillean laborers were once again recruited. The loss of life from yellow fever and malaria proved to be staggering. By 1889 de Lesseps company had gone bankrupt. Over 22,000 workers had lost their lives during these years. Again, some Afro-Antilleans decided to remain in Panama while others returned home. The third and most important movement of Afro-Antillean settlement in Panama came with the building of the Panama Canal under the direction of the American Panama Canal Company. In 1903 the United States wanted to purchase from Colombia the “concession” to build the canal. Colombia refused, and the United States backed an uprising in Panama that resulted in the Panamanians declaring their independence from Colombia. Panama remained a U.S. protectorate until 1939 and American interests in the republic remain strong to this day. Work on the canal began in 1907 and was completed in 1914. During the building of the canal Afro-Antillean laborers by the thousands were recruited from Jamaica, Barbados and Trinidad. By 1910 the PCC employed more than 50,000 workers, three-quarters of them Afro-Antillean. When the canal was completed many of these workers stayed on to work for the Panama Canal Company. They made their homes in the American controlled Canal Zone as well as in and around Panama City. Only employees of the PCC were allowed to live in the Canal Zone. During the early years of the building of the canal most U.S. citizens working on the canal preferred to be paid in gold. Afro-Antilleans however were paid in silver. From this developed the classifications of a “gold” or “silver” employee. The terminology was eventually extended to all of the Canal Zone. It basically took the form of racial segregation similar to that fond at the time in the American south. Water fountains, rest rooms and other public facilities were designated “gold” or “silver” and black and white communities in the Canal Zone lived in segregated communities. Separate pay scales for blacks and non-blacks remained in force until the signing of the Panama Canal Treaty in 1977. The so called “gold” and “silver” classifications that were used to keep the canal segregated were discontinued in the 1960’s. But the “gold” and “silver” term of reference was still in use for many years after its official discontinuance, much to the resentment of the Afro-Antillean community. The Americans had originally favored English speaking workers from the British West Indies just as they had favored them in Costa Rica, Nicaragua, Honduras and Guatemala. They were hard workers who understood and spoke the language of the North American employer. They were also regarded as “cheap labor” and faced racial discrimination not only by North Americans but by Panamanians as well. As a result, Afro-Antilleans built up their own “insular culture” separate from their Hispanic and American neighbors. Stressing the maintenance of their traditional ways, they also strongly believed that education would lead to greater advancements for them and their children. This has in fact been the case in recent years, but the community still suffers from various forms of racial and cultural discrimination. During the years before World War II, the community was noted for its loyalty to the British Crown. 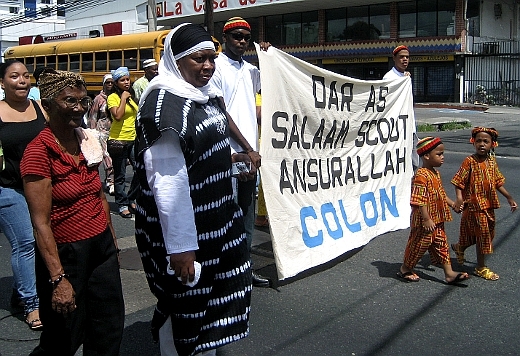 Many Afro-Antilleans planned to go back home after they had earned enough money in Panama to retire. Many were still British citizens, and a belief within some sectors of the community of a certain “culturally superiority” over their Spanish speaking neighbors created resentments between them and Spanish speaking Panamanians. Afro-Antilleans also settled outside the Canal Zone in nearby Panama City. Here they formed their own English speaking Protestant community complete with churches, schools and businesses. During World War II hostilities between Afro-Antilleans and Panamanians increased as Afro-Antilleans became more entrenched in the canal labor force. This lead to actions taken by the Panamanian government depriving many Afro-Antilleans of their Panamanian citizenship during the years 1941 to 1946. As a result of this, Afro-Antilleans united together even more to fight this legally sanctioned discrimination. The memories of these shameful acts by the Panamanian government have not been forgotten by the older generation. 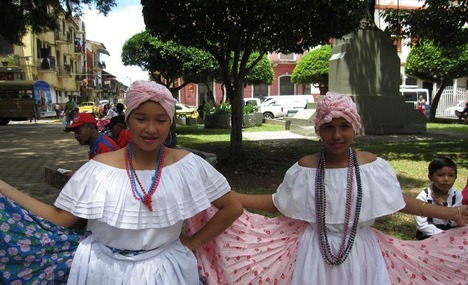 Since World War II immigration from the British West Indies has remained negligible, and the slow process of assimilation into Panamanian mestizo culture has been the result. Some things have not changed. At the top of Afro-Antillean society are the Protestant ministers as well as professionals such as doctors, lawyers and white-collar workers. 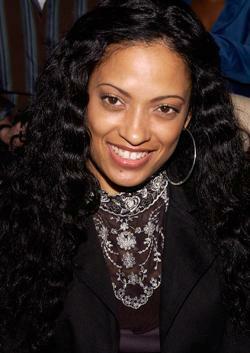 Some of Panama’s wealthiest families are of mixed African and Spanish ancestry. Poorer blacks were also able to obtain “upward mobility” through service in the Panamanian National Guard. Many were recruited into these units during the 1930’s and 40’s when few other avenues of advancement were open. 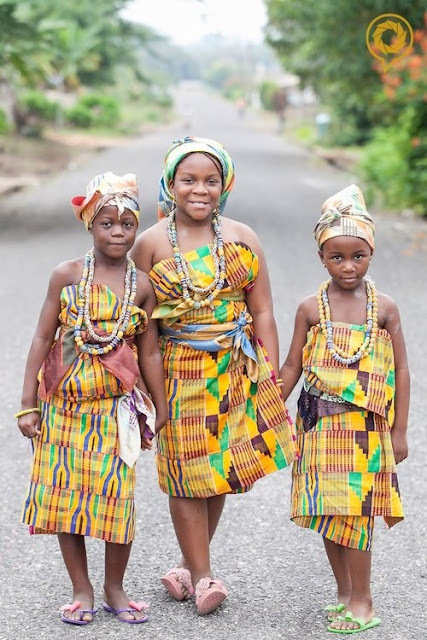 The younger generations of Afro-Antilleans have in recent years often rejected their parents culture, adopting the Spanish language and Roman Catholic faith of their mestizo neighbors. 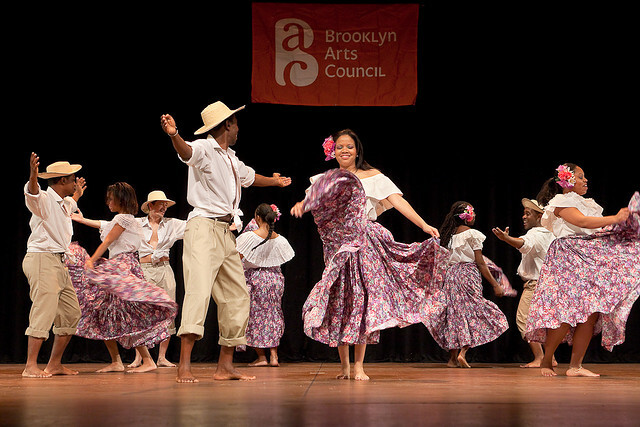 Others, who were born in the Canal Zone and attended English language schools, were often unable to identify with either West Indian or Hispanic culture finding themselves on the margins of three cultures. The economic situation of many Afro-Antilleans living in the former Canal Zone reflects the legacy of American discrimination against this Panamanian minority, many remain poor and economically down trodden. Discrimination has not always emanated from the U.S. presence in the country. The anti-black policies of the Panamanian government during the administration of President Arnulfo Arias (1931-1941) was blatantly racist. Arias went so far as to call for the deportation of all Afro-Antilleans, East Indians and Chinese in Panama. The early 1940’s were also among the most difficult for the black community. By the 1980’s a greater awareness of black pride and political activism resulted in the holding of three “Black Panamanian Congresses” in 1980, 1983 and 1988. This was an organized effort to reassert the Afro-Antillean position in Panamanian society by building a greater solidarity within the community itself. The situation surprisingly improved for the black community during the rule of General Noriega and today things seem to be better then in past years. The formal segregation that was once found in the Canal Zone has ended, the Panamanian government has enacted laws to ensure “equal treatment” for all of its diverse ethnic groups and a greater awareness of black culture and tradition continues to grow within the community. 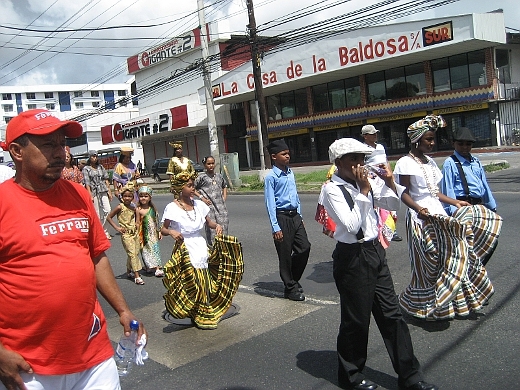 Important areas of settlement of the Afro-Antillean community include towns and cities in the former Canal Zone such as Colon, Cristobal and Balboa, as well as the Rio Abajo area of Panama City. 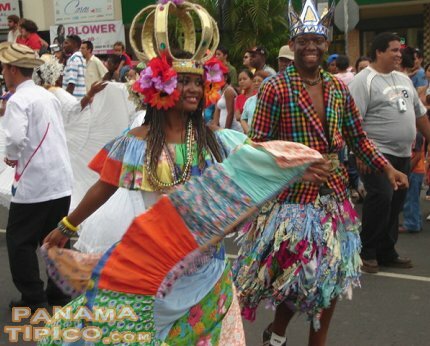 Another region of Panama that has a large Afro-Antillean population is in the northwestern province of Bocas del Toro. Bocas del Toro is located on the Caribbean coast just south of Costa Rica. Here the United Fruit Company introduced bananas at the turn of the century. Just as they had in Costa Rica, Nicaragua and Honduras they recruited Jamaicans in large numbers to work on the United Fruit plantations. During the 1940-‘50 period disease virtually wiped out the banana plantations. Cacao and abaca became the main crops. After a resistant strain of banana was introduced cacao and abaca was replaced, and once again the region became an important banana producing area. 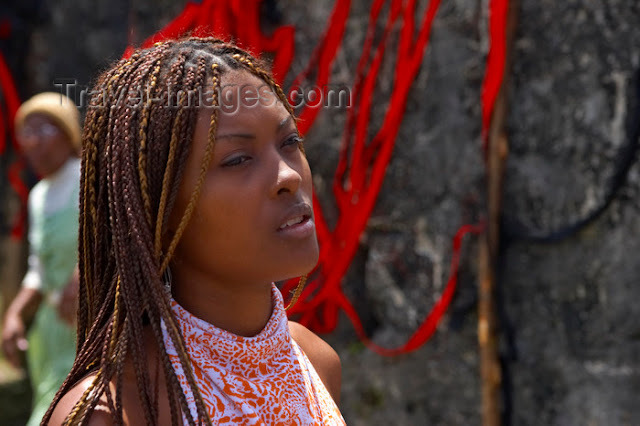 Most of the Afro-Antillean population is concentrated in the town of Bocas del Toro as well as in Almirante. 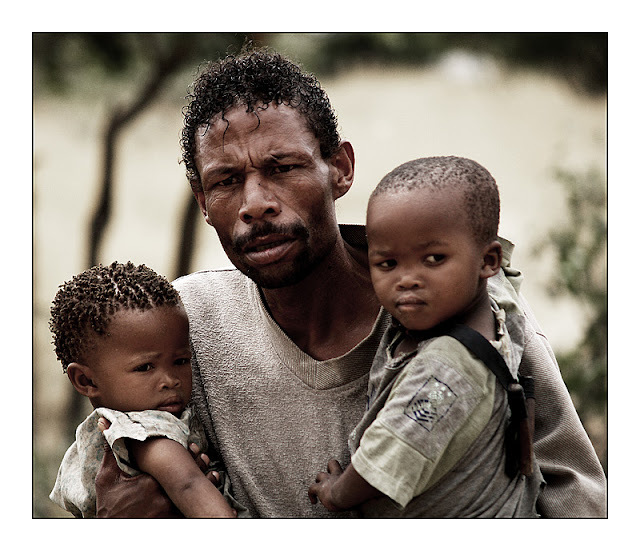 The village of Bastimmentos is almost entirely of African ancestry. It is an island located 20 minutes from Bocas. 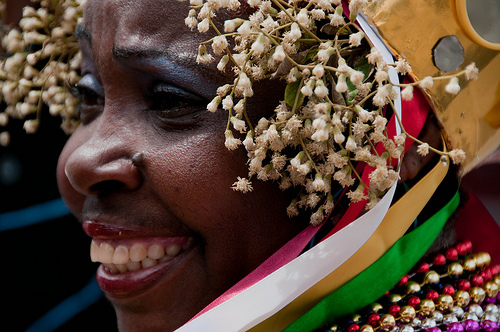 There are four distinct variations of Creole English spoken by Afro-Antilleans in Panama. The variations of Creole English spoken throughout Central America belong to the Western Caribbean Creole family of languages. 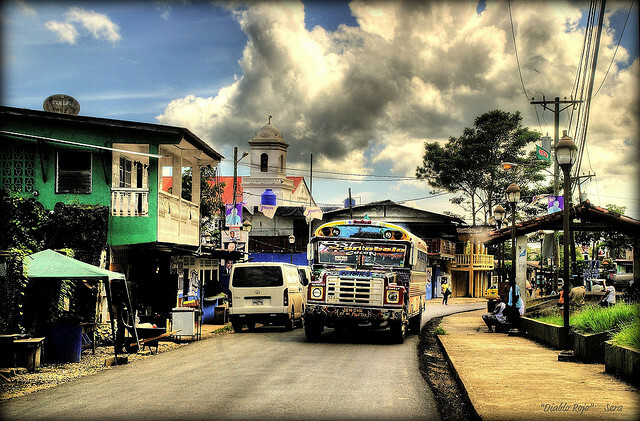 The variety of Creole English spoken in the Bocas del Toro province is called Guari-guari and has an English base with Guaymi, Spanish, and possibly French influences. There is also one small Creole French speaking community in Panama that originally came from the Caribbean island of St. Lucia. 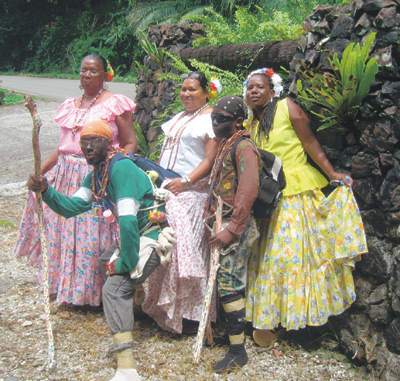 They speak what is known as San Miguel Creole French and are the descendants of Creole French speaking Afro-Antilleans who arrived in Panama as laborers during the 19th century. 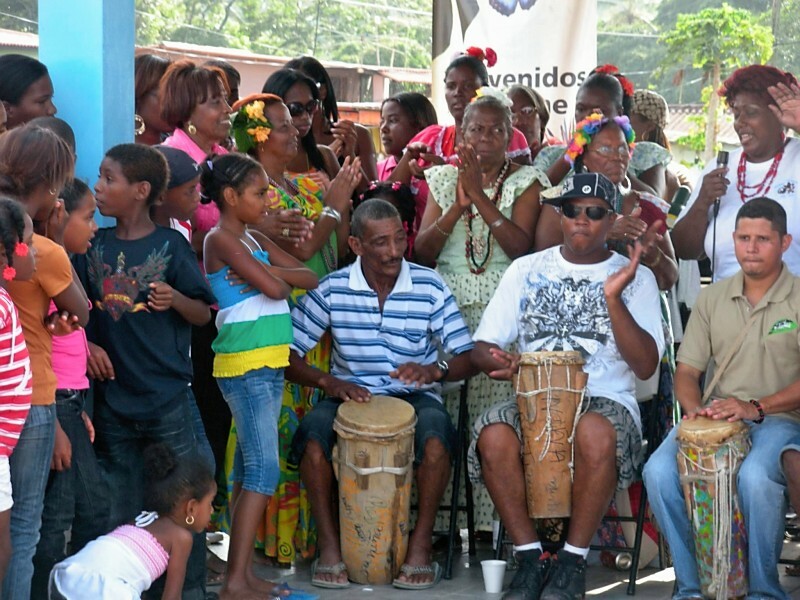 Afro-Panamanians have a long history of struggling for their freedom. From the earliest days of Spanish rule many were determined to live as free men and women in their own communities under their own rulers. In no other Central American nation were Africans as successful in obtaining these freedoms as they were in Panama with the existence of the 16th and 17th century maroon communities of the Darien. Latter, during the 19th and 20th centuries, thousands of Afro-Antillean workers gave their lives in the building of the Panama Railroad and Canal. Proud of their West Indian culture and way of life, they worked to overturn unjust American and Panamanian laws that discriminated against them. Although the fight for full equality in Panama is not over, and as late as the 1980’s the Afro-Antillean community still faced official government policies that were directed against them, the future of the community seems to indicate that Afro-Panamanians can keep both their unique way of life as well as play an increasingly important role in the life of Panama. A role that they have been playing now for nearly 500 years. African slaves in the fierce struggle for freedom against the Spanish Empire (the 'runaways') were also land in the jungle magic Portobelo. And after escaping deep into its dense forests and hills, the Maroons built fortified villages, known as Palenque, from which declared war against their former slavers. So successful were these courageous battle in the Spanish fugitives were forced to declare several truces, and finally to recognize their freedom and independence. The traditions of the Congos consist of unwritten traditional performances, with characters from mythology, rituals, costumes, architecture, music, food and dance. Its impromptu street performances recall was metaphorically describe their ancestry and the victory of good over evil. Congo culture survived thanks to the use of 'double effect' that enslaved Africans used as a weapon of resistance, which allowed them to communicate with one another while confusing the Spanish. By distorting the meaning, the reality becomes ambiguous making the African teachers in the exchange of information. The ability to communicate with each other without being discovered, they made it possible to plan escapes and riots, as well as operate an elaborate system of espionage. The result is a story full of symbolism and idiosyncratic culture, paradigms and metaphors that arouse fascination among visitors to Portobelo ready to be wrapped in mists of light. 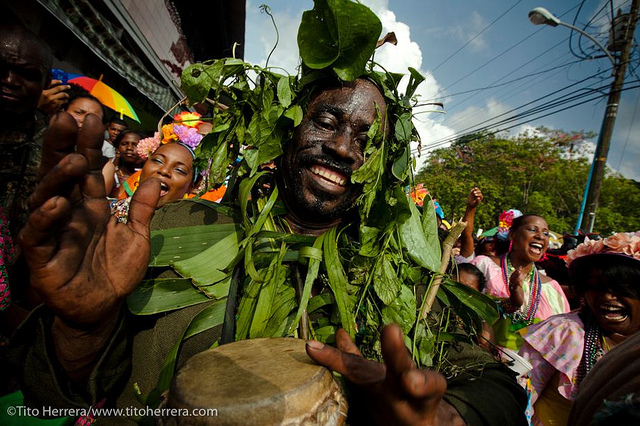 One of the traditions of the people is the drummer of "Congos" during Carnaval this tradition dates from the time of slavery in colonial times. One of the main traditions of the people is the drum of "Congos". It usually occurs during the carnival in February. This tradition dates back to slavery in the colony. It is a mockery of the Spanish kings and during the dance, which lasts several days, the participants assume the role of runaway slaves fleeing the Spanish. They hide in different parts of the village and take captive. 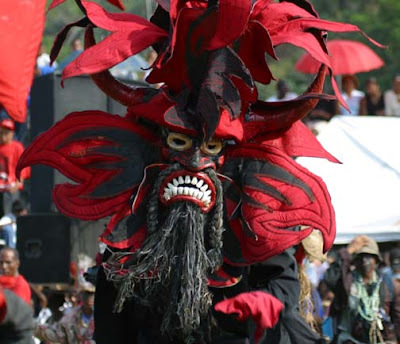 The dance has a story in which characters representing the Congolese fight against the devil, who is on the loose in those days. At the end are saving the "Queen Conga" with the help of "bird" and "John of God" in these traditions is easy to see the syncretism between Catholicism and African rituals Antilles. Congo, Evocation of complaints from black ancestors and now facts and incidents of everyday life. The Congo is the one that has persisted and is alternated with salsa dancing or popular. 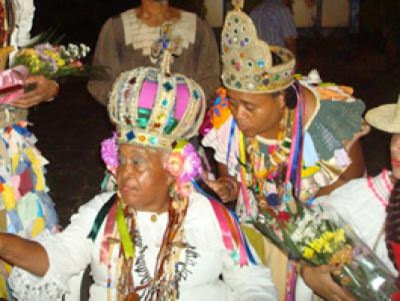 As for the special clothing is congo: change of chintz, striking large flowered skirt, head, crown fitted with colored ribbons, mirrors, flowers typical of the season (Caracucho, jasmine, papos, Havana), pinned at Trez in circle on the sides of the head. Men use ketones, pants backwards subjects with rope, tape crowns interspersed with mirrors, a motet or quirky bag that serves to put few things picked up. Thanks so much for researching Afro Panamanian culture. I have used you a as a resource to educate others.